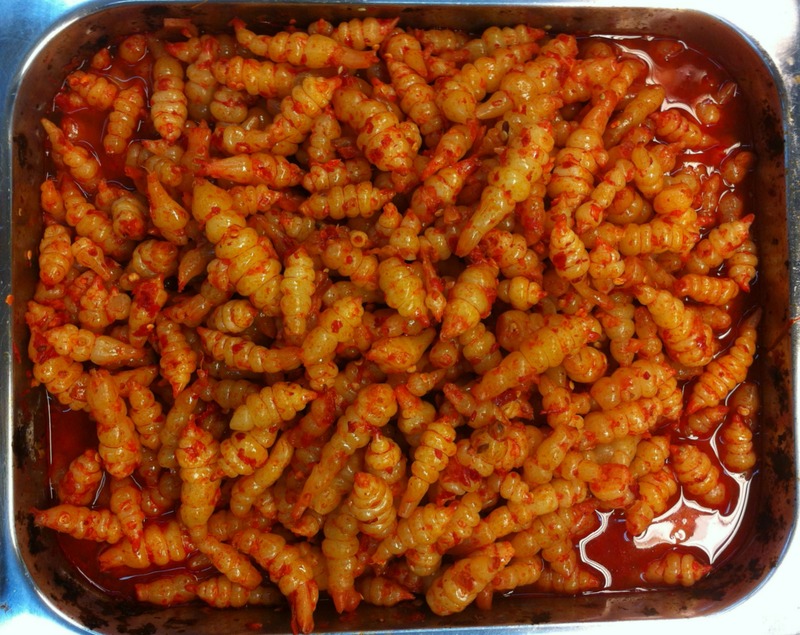 Day 36 in Beijing: Larvae, It’s What’s For Dinner. Day 35 in Beijing: Larvae, It’s Whats For Dinner. There is a famous ad campaign in America. That is Sam Elliot’s voice you hear. The Dude obviously abides beef. Food can be a difficult issue when living in a new country. I have the belief that I should try eat the food that originates in the place I’m visiting. there are just some things I choose not to eat. Larvae, It’s Whats For Dinner! Larvae would be one of them. This is a shot from the local Wu-Mart. In other words, this isn’t a delicacy. I think I’ll stick with the shrimp won tons that I bought instead. I wouldn’t judge anyone who said the food I eat is weird, gross, or disgusting. We all have our own personal and cultural identities. Larvae, It’s Whats For Dinner.